Federal government mediation must produce real results for both the employee and the employer on the federal sector in order to be effective. We all live in the world where federal government is considered omnipresent and very powerful. Our government mediators are true outside neutrals who have been recognized and selected by both the employees and the federal government to uphold the law and achieve results. 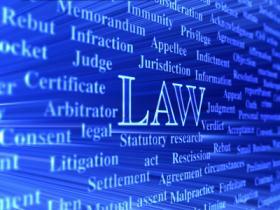 The parties can be represented by lawyers or they can represent themselves. Either way, they will be allowed to use Alternative Law’s Best Ideas Win mediation program to achieve real resolution in their cases. Alternative Law Mediation Results is used by the employees and the federal government by federal agencies across America such as the US Army, Air Force, Department of Justice and the EEOC, the Equal Employment Opportunity Commission. Our Best Ideas Win mediation programs are the most innovative problem-solving programs, winning national recognition because of their high settlement rate and client satisfaction from both the plaintiff and defense perspectives. Government agencies use our programs because they work and they are guaranteed or you money back.